According to camel this is the cheapest ever price! Apply 10% Voucher. Are you looking for a top-quality food storage container set that is suitable for any type of food? Our 25 pieces airtight food storage container set is the perfect product for you! 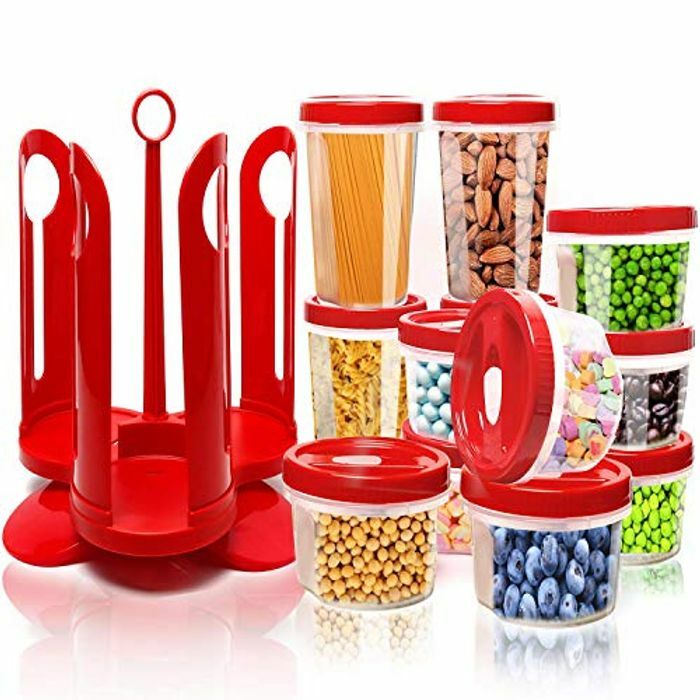 It has many different sizes container to use on different foods with different portions. Especially for liquid form items. Screw on lid provides extra isolation performance, it measures the volume of the content out easily. We had also designed an innovative rotating storage rack for better space organization. These BPA-free containers are safe to use on refrigerator and microwave oven. Step 1: Insert all four enclosures into the four correspondent notches on the swing base. Step 2: Insert the swing base onto the base with the center aligned.